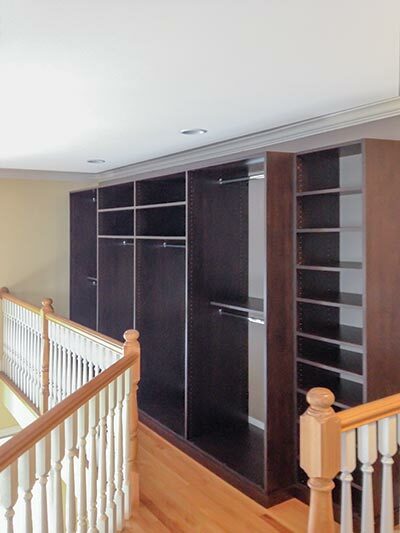 Take advantage of wasted space around your home and convert it to an attractive hall closet using custom enclosed wardrobe cabinets from Closet Works! 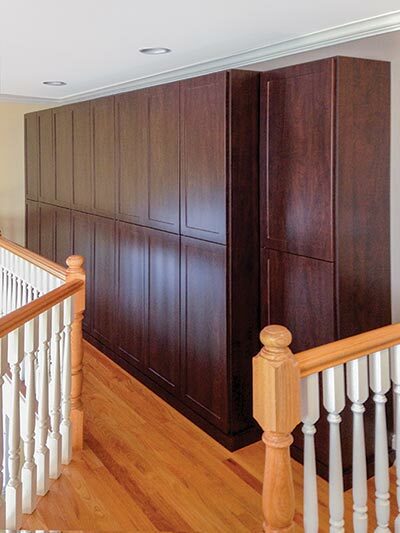 This new organization system uses custom wall storage cabinets to satisfy the clients' need for additional closet spacein the home and also functions as an attractive piece of furniture for the previously unadorned landing. Empty wasted space and a hallway that goes nowhere was converted to useful, attractive and a much needed hall closet with these enclosed wardrobe cabinets. Closet Works wardrobe cabinets are designed to be installed outside of the traditional built-in closet, and function more as furniture in a room. 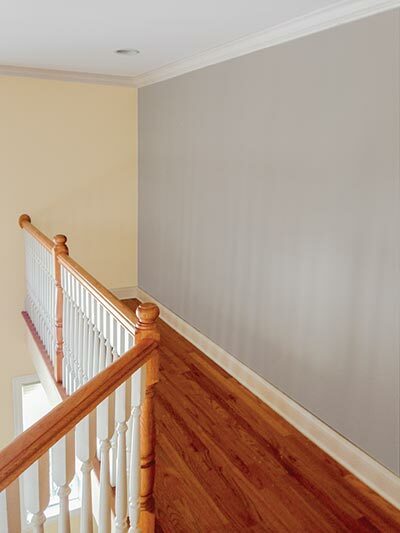 These wall storage cabinets are the perfect solution to furnishing the otherwise bland, empty landing at the top of the stairs, while also fullfilling the homeowner's need for additional closet space along the hallway. By adding these wall storage cabinets into the previous wasted space, the owner added six closet rods to hang out of season clothing. The thirteen shelves included with this system will keep beach towels handy without filling up the linen hall closet. Bulky winter comforters can be cleaned, folded and stored out-of-sight until the weather turns chilly again — keeping this home organized and running like a well oiled machine. The eye catching darker finish on the components contrasts nicely with the lighter floors, creating an attractive focal point for the hallway/landing and enlisting these wardrobe cabinets to function as more than just storage.